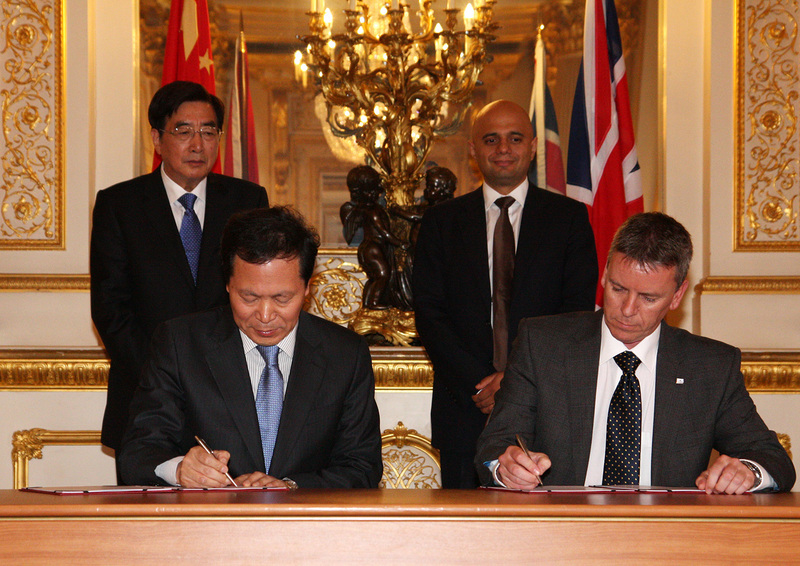 Two contracts between Ricardo and Beiqi Foton Motor Co. Ltd. (Foton) of China have been signed at a ceremony at Lancaster House, London, in the presence of Mr Guo Jinlong, Secretary of the Beijing Municipal Committee and Member of the Political Bureau, and Mr Sajid Javid, UK Secretary of State for Business, Innovation and Skills. Headquartered in Beijing, China, Beiqi Foton Motor Co. Ltd. is more commonly known by its brand name Foton. The company designs and manufactures commercial vehicles, including medium and heavy-duty trucks, light-duty trucks, vans, pickups, and buses, and is one of China’s largest and most diversified manufacturers in this sector. The first of the contracts, which were signed on June 19, was a Memorandum of Understanding (MoU) on Strategic Cooperation in Powertrain Products Development between Foton and Ricardo UK Ltd. The scope of the MoU covers vehicle platform planning, new technology research and analysis methods, new product development, powertrain integration and calibration support, troubleshooting and technology transfer. In addition to the MoU, a service contract was signed between Foton and Ricardo Shanghai Co. Ltd. This contract will see the two companies collaborate on the development of a 1.0L gasoline engine, through which Ricardo will help Foton improve engine efficiency and meet new emissions and fuel consumptions standards in China. This engine is aimed at meeting EU6 emissions regulations, and is intended as an important product in enabling Foton to meet the new China stage 4 fuel economy regulations. Ricardo will be mainly responsible for reviewing Foton’s design with relevant simulation based activities, carrying out mechanical and performance and emissions development, and applying a particular focus upon evaluating NVH aspects.